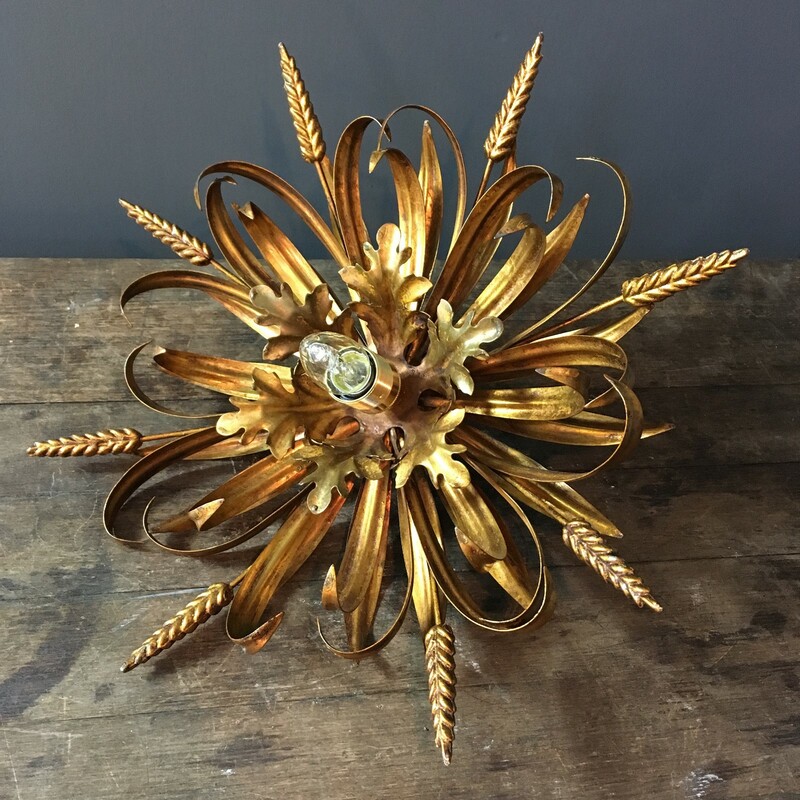 Stunning gilt metal wheat sheaf flush light.1950's Italian. 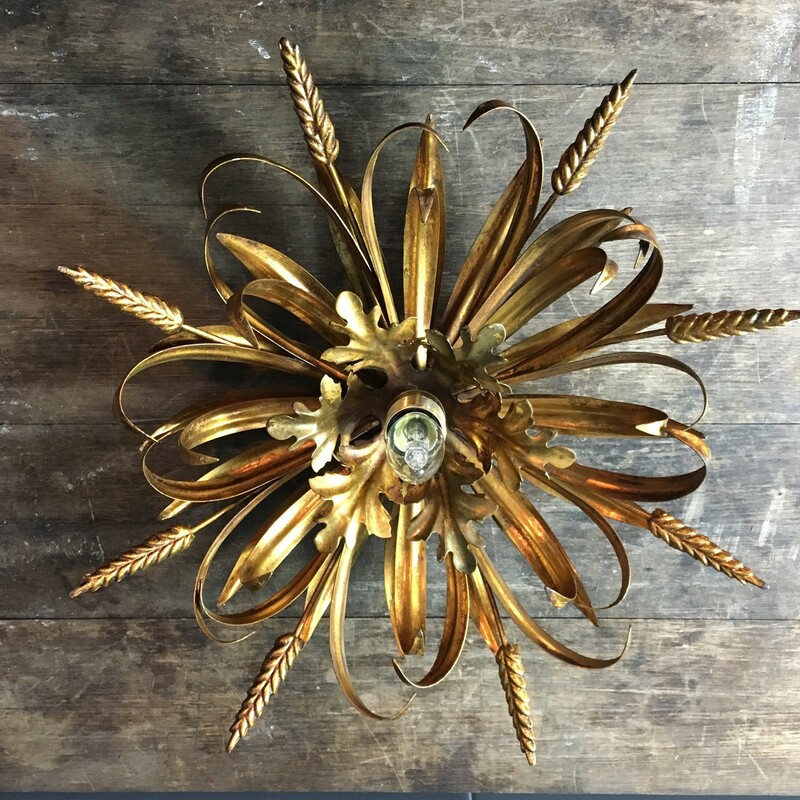 The wheat sheaf stems and leaves surround an acanthus leaf inner circle that cradles the single bulb holder. The light fixes to the ceiling with a bracket provided. 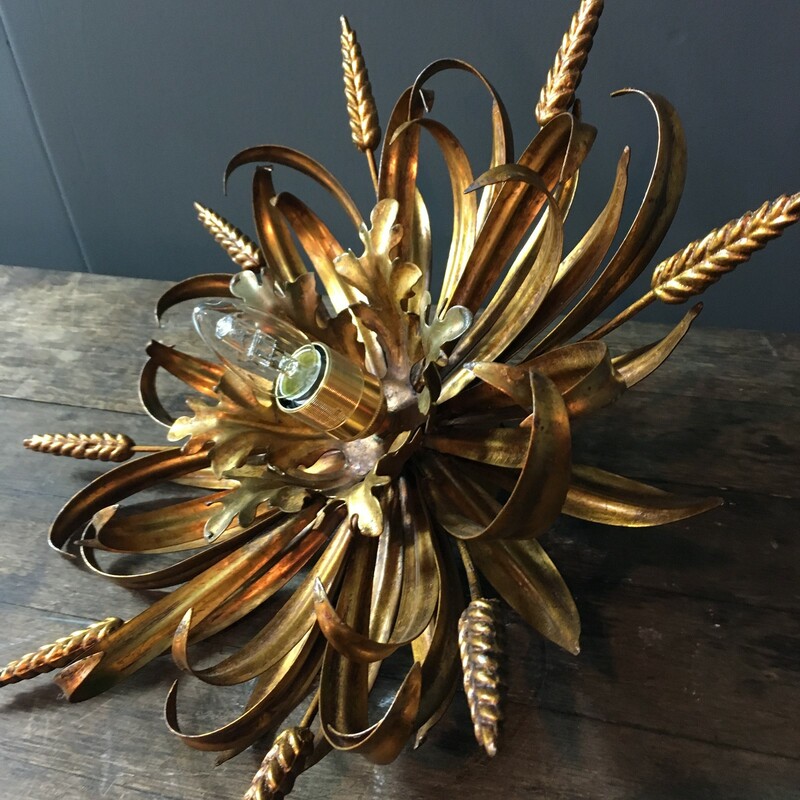 The light could be used for a ceiling or as a wall light due to how the fixing plate attaches and allows the light to sit flush, its a stunning piece. 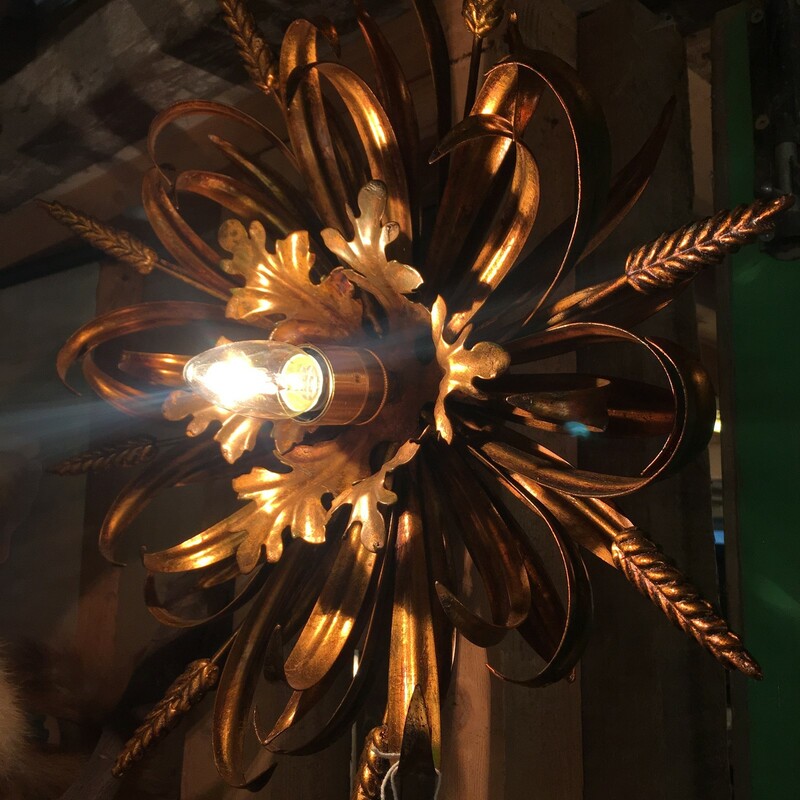 The light is wired and in full working order, but as with all our lighting we would always suggest it is fitted and tested by a qualified electrician. 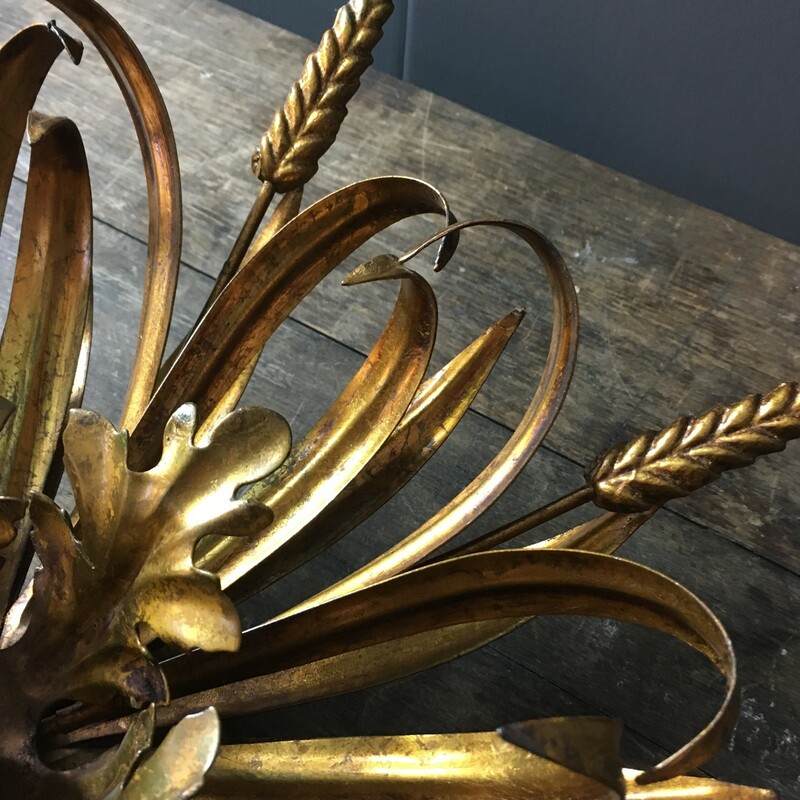 At LCT Home we have a broad selection of decorative antiques. 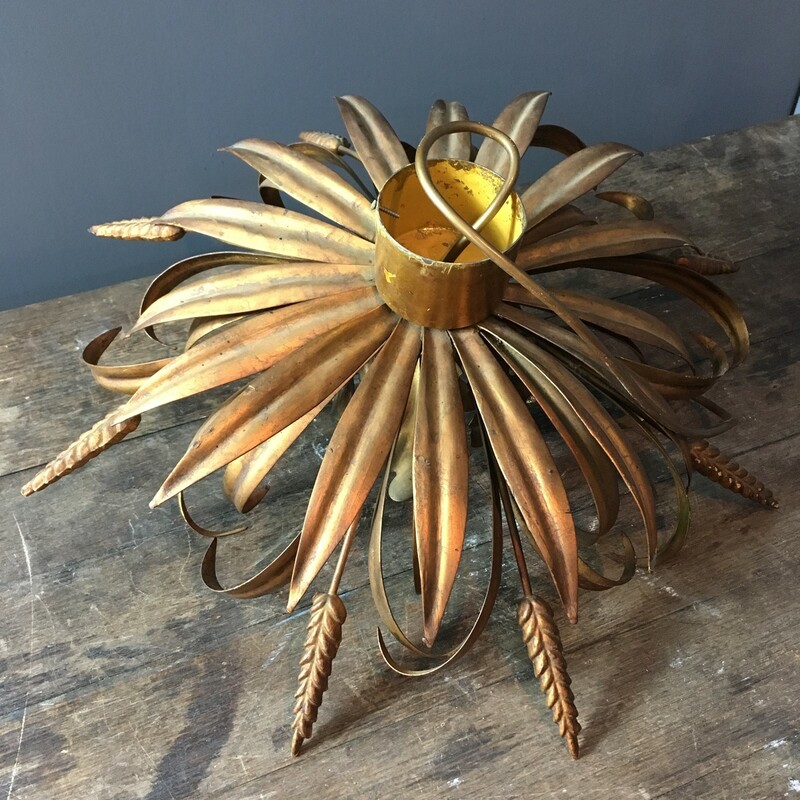 We carry 19th and 20th century British and European furniture, lighting and many other decorative items. 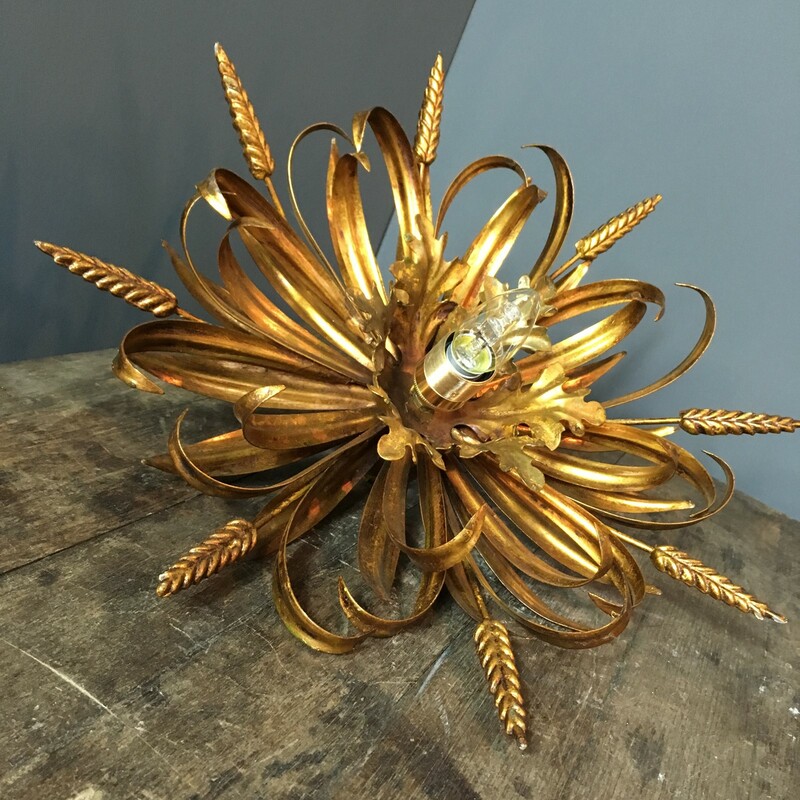 We travel throughout Europe and the UK to personally source our pieces and have always believed in finding unique and individual items to compliment any interior. 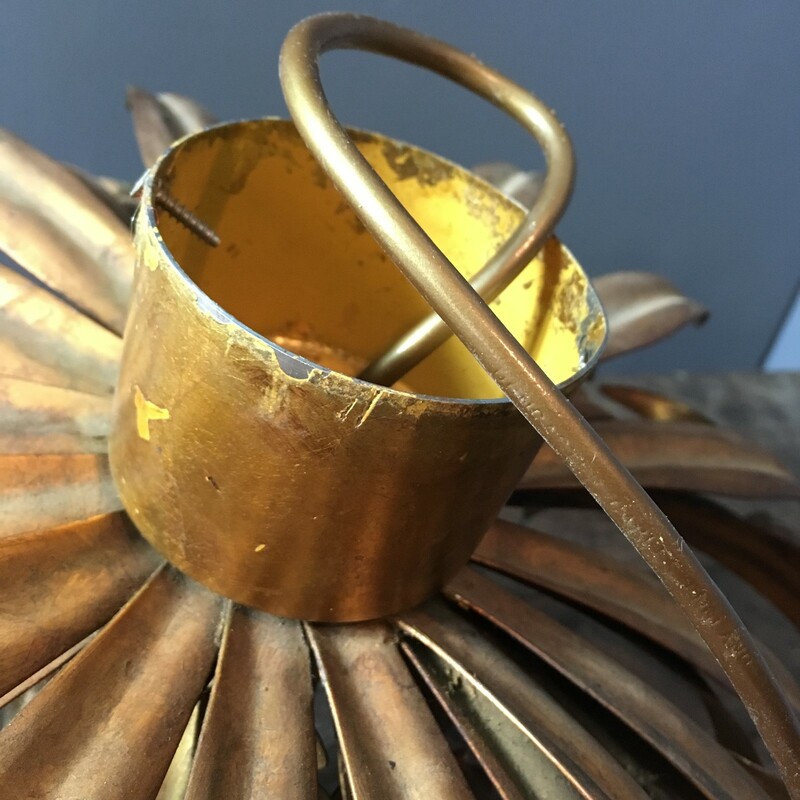 Our clients are based worldwide and include antique dealers and interior designers, along with many clients who are looking for a beautiful pieces for their own home. 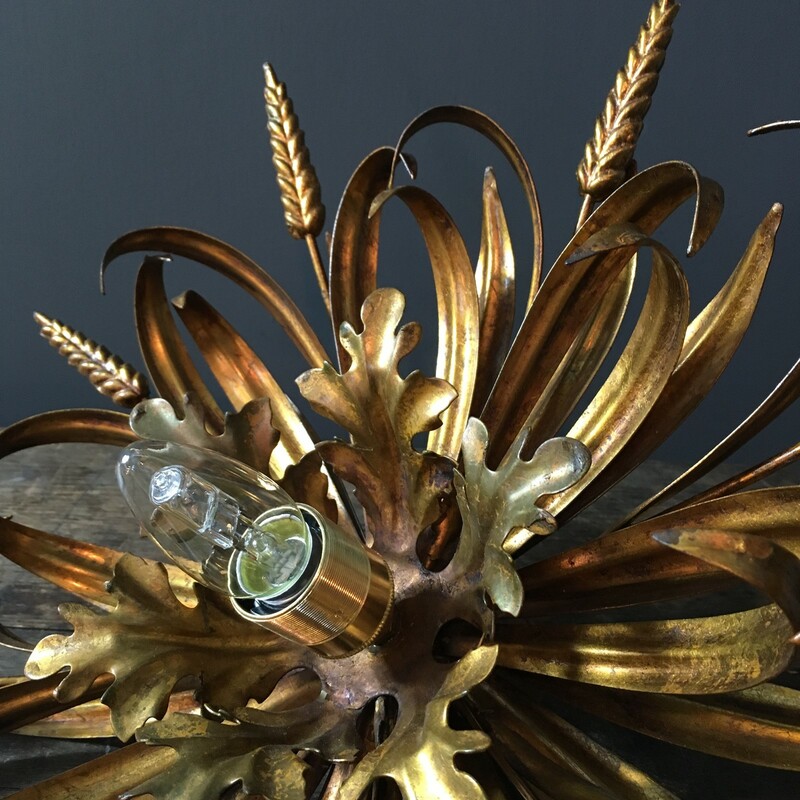 In Hastings, East Sussex, we have a large showroom within a Victorian warehouse showcasing our collection. The showroom is open monthly or visitors are welcome by appointment.